I research the company and the people that I will meet in advance of each interview. Subliminal Affirmation for Job Search Motivation: Research from Sheilah T. Davis on Vimeo. 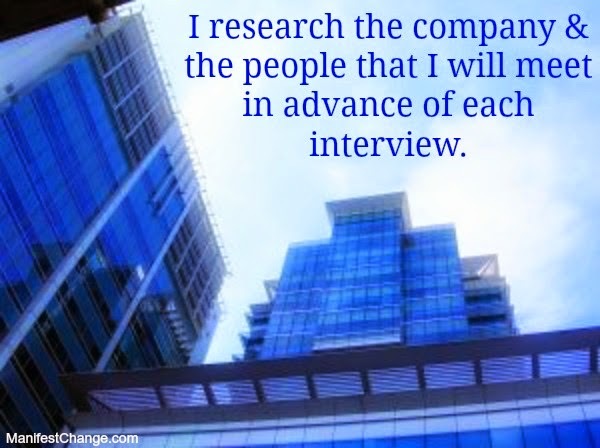 You research the company and the people that you will meet in advance of each interview. Other people appreciate the fact that you research the company and the people that you will meet in advance of each interview. Successful job seekers, just like you, research the company and the people that they will meet in advance of each interview.